Dominion Traders is an export company that assists skilled stone and shesham wood artisans in finding markets for their products. 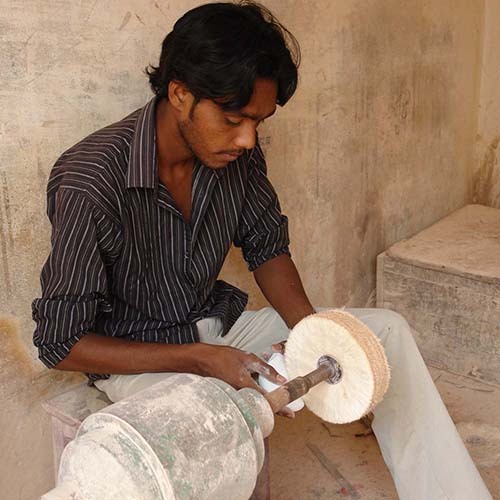 Small craft workshops provide many jobs in Pakistan, where other work opportunities are scarce. Based in Karachi, the small company operates its own workshop with more than 25 artisans, and also works with several independently owned workshops.